More cards, host code, and gems! It’s Management Monday! Here’s what is happening this week! There are more cards to be made at Nancy’s for a semi-private Card Class on Tuesday. If you would like to help Nancy to earn FREE products please use host code EHMZN2WJ when ordering online. If you prefer to order in person please contact me. This code will be available until Tuesday night at 9 pm. I am getting ready for the Gem, Mineral, & Craft Show on Thursday, October 4 through Saturday, October 6. If you would like to see something specific created please comment or let me know. It’s a 5 event week. I am ready to rock this week, are you? I surely hope so as there are 5 events this week. We have Card Class and the Encouragement Card Class. While that only looks like two, there are 4 sessions to Card Class. The RSVP’s for Card Class are due on Tuesday and Wednesday this week. Please let me know by Tuesday night about the Encouragement Card Class. This class has dinner included. If you need more details please go to My Events to read more. For ordering please use host code BH6BMG4R to help Jodi. If you prefer to order in person please contact me. Dashing along to redeem bonus coupons. It’s Sale Saturday and it’s the first of September! I am ready for cooler weather and all the preparation that comes with the holidays. With that there are two great promotions happening now! The Dashing Along Promotion for hosts is now! Collect $250 in orders (in product and after the bonus days coupons) and receive your host rewards as well as a FREE pack of Dashing Along Designer Series Paper! I only have a couple of dates still available so let me know if you would like to host. You’ve collected your Bonus Days coupons and now it is time to redeem! Here’s how. If you don’t want to be bothered with all of this simply forward the email with your codes on it and tell me when you want to use them. Remember that the Holiday Catalog goes live on Wednesday, September 5. I am taking orders currently so send me your wishlists. Please do not try to order online until noon on the 5th when the catalog goes live. The active host code until Monday, September 10 is MFD9GBXR for ordering online. And we are back to Friday again. Are the weeks going faster? It seems as it gets hotter the weeks go faster. Anyone else? Without even thinking about it we are back to Friday again. I am a little slow this morning since we had a get together last night. We (8 of us) had dinner together, crafted, and created. We created cards for Girls Love Mail. Girls Love Mail is a group of people that deliver cards, hugs, and encouragement to newly diagnosed breast cancer patients beginning chemotherapy or radiation. Their goal is to reach 40,000 letters this year. So far they have about 12,000. We made another about 40 cards to go out for this organization last night. If you have cards to donate I will take them at any time. We are mailing them off all the time. I love it when our group comes together to create impact. What are you focused on creating impact for today? Jodi’s Host Code, Serina’s Punch Class, and Farmers’ Market! This week is looking like it will be a great week! Here is what is happening in chronological order. Monday — The order from Card Class will be submitted tonight at 9 pm. If you would like to help Jodi please use host code Y9H7NWTT before tonight. Also, if you order the Stamparatus before 9 pm you will get a shammy piece FREE! If you prefer to order in person please contact me! Wednesday — Serina’s Darling Punch Box Class is from 1-4 pm! Cost is $50 and includes the kit and 18 cards. I have one kit left so please contact me ASAP if you would like to join us! Saturday — Come on out to Bucklin Park in 29 Palms for the Farmers’ Market from 8-1! I will crafty items for sale as well as a door prize for everyone. The retiring list has been released and there’s quite a bit on it. Personally, I have 56 stamp sets on the way out. So, here’s the link for this infamous list…Retiring List. If you would like to order online please use host code F2FBQT3X to help Sandy out. If you prefer to order in person please do so before Monday at 9 pm. This will help Sandy and ensure the fastest avenue for you to get your product. The new catalogs will be coming out next month. If you have ordered from me in the last year you will receive a catalog for FREE. If you would like a catalog but you haven’t ordered from me recently please contact me. There is still no cost but I need to know that you are still interested. Without anything else to add I will you leave you as I always do. Have you been planning on getting something for Sale-A-Bration and just haven’t gotten around to it? You need to, and SOON! If you haven’t heard…there are exactly 22 days left for this incredible sale! So don’t miss out on your party pandas or some basket weaving. Contact me now! If you would like to order online please use host code Q9YJ79MN to help Sandy out. Sandy is gracious enough to allow me to teach once a month on her day off at her store. Not only does she open the store but she also has cookies usually. So if you are thinking of ordering please order online or contact me using the code before Monday night at 9 pm. Save the date for Saturday, March 17th from 8-2 at the Community Center on Joe Davis. I will be vending at the Flea Market across from the carnival and I will have a red crate with stamps, etc. for 50% off the current retired price or reward points. This is for this day only. There will be other crafty items available but if you want a deal be looking for the red crate. 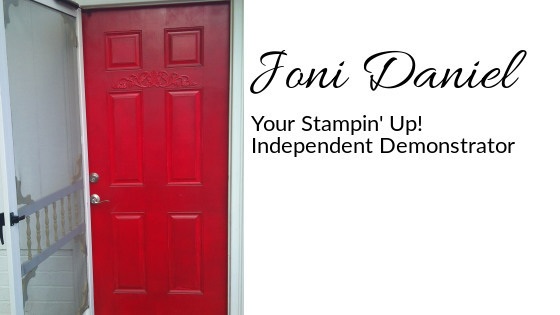 Remember, when you create something, take a picture and post to the Facebook page (www.facebook.com/StampingWithJoni). For each post with a different project you will get a reward point. Lot to do…come on out! There’s a bunch to do over the next few weeks. Let me know when you are making it out! There are drop in times today if you need to finish a project, have questions about a product, or just want to say hello. This week is Card Class! There are still spots available in both sessions for Saturday. Let me know which session you are able to make it to. If you did not receive an invitation just say so. On Saturday, February 24th from 10-2 you can create 16 birthday cards with a great box and perpetual calendar too! Cost of the class is $35 and includes lunch. Please RSVP by Tuesday, February 13th! You will keep all 16 cards with envelopes as well as the box. No hubbies, no kids, and no mess to clean up. If you would like to order online please use host code 7QQDMWSK to help Serina. This code is good through tonight. If you miss tonight’s then please use host code SZXYV3G9 to help Lisa. This code is good through Tuesday night. I hope that’s enough to keep you busy. Let me know if I am missing something. Big Shot, Sale-A-Bration, and more! There are still plenty of sales happening with Stampin’ Up! I will be offering the Big Shot promotion only through me until February 14th. You need to have the details and say yes before the beloved Valentine’s Day. Sale-A-Bration is going on and I am getting ready for the second release on February 15th! Do you want the new brochure? Comment, message, call, just contact me to get yours! Serina’s order closes on Monday and the host code is 7QQDMWSK. Lisa’s order closes on Tuesday and the host code is SZXYV3G9. If you find any other great deals please tell me! Managing this Monday is not so hard. Today is not so hard to swallow as a Monday since it is a holiday for most. Did you get to sleep in, spend some extra time at the gym, or are you simply still in your pajamas? Personally I am working on creating and finishing getting things back on track for you. There is so much to create and share with you. We will have drop in times today even with the holiday. So stop by between 11:30 and 1:30 or from 6-8. There is an order being submitted tomorrow evening at 9 pm. When you order online please use host code MGPDGHD4 to help Sandy. If you prefer to order in person please contact me or drop in.